Over on the Liturgia Latina blog, I have written a short article on the Office for the Dead in the Dominican rite, in memory of Dominic Mary, Tertiary of the Order of Preachers, recently deceased, who was a founder member of the Sodality. I regret to report that one of our founder members, Dominic Mary - who blogged at Libera Me - died on 21st October. Dominic Mary provided encouragement at the foundation of the Sodality in May last year. 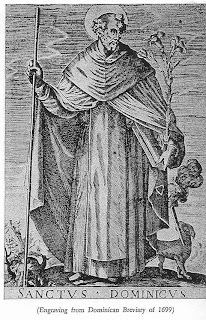 This inauguration was appropriately held at Blackfriars, Oxford - Dominic Mary was a Dominican tertiary. Last time I saw Dominic Mary was at the LMS pilgrimage to Oxford just over a year ago. He had been ill - had a "funny turn" - and had a stay in hospital. Would all members and friends of the Sodality please pray for Dominic Mary. I will say the office of the dead for him, according to the traditional Dominican breviary - it's what he would have expected! It is one of the duties of being in a Sodality that members should pray for one another - especially for their departed brethren. Further details of the last year of his life are on the blog Gem of the Ocean - if you knew him, you may wish to read this. Also remember his widow in your prayers. Anima ejus, et animae omnium fidelium defunctorum, per misericordiam Dei, requiescant in pace. Members of the Sodality will know that it is hoped to produce a medal at some point, which could be worn on a royal blue ribbon or cord while serving mass or on other occasions. Two issues: cost - which could be considerable; and design. I have recently purchased a medal of the design below, which is about an inch in diameter, and is of a Congregation of St Tarcisius (Martyr). It's source is Argentina; date unknown, possibly 1910-ish? The design is of St Tarcisius, clearly carrying the Blessed Sacrament under a cloth. You will remember that our saint was martyred while protecting the Body of Our Lord, which he had been commissioned by the Pope to carry to those in prison in that time of persecution. The palm branch is a symbol of martyrdom. Our Sodality could adopt a similar design, but with 'Sodalitas Sancti Tarcisii' around the top rather than the name of the Spanish congregation. I'd like to get in our motto 'Fidelis usque ad mortem' but it may get rather overcrowded. The obverse of the original medal is blank. Members could, if they wished, have their names inscribed on the back with the date of enrollment. Cost will still be an issue. Casting such a medal would not be cheap. But for now, what about the design - any comments would be welcome. At Solemn Mass it is very noticable how the order of incensation at the Offertory reflects and reminds us of the hierarchy in the sancturary. First, and with great ceremony, the celebrant incenses the oblata, the host and the chalice, then the Cross and the Altar, with the assistance of the deacon. Then the deacon, with the assistance of the thurifer, incenses first the celebrant, then any clergy there may be in choir, and then the subdeacon (who is holding the paten with the humeral veil). Then the thurifer takes the thurible and incenses the deacon, then the MC, then the acolytes, and then the congregation. 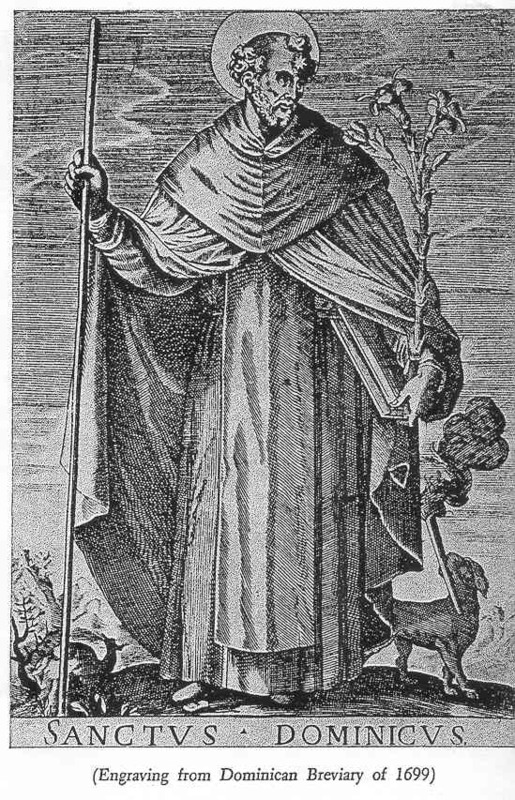 In incensing the oblata, the celebrant is giving honour to Our Lord, who is about to make Himself present in them. The celebrant honours Him also in the Cross and the Altar. The celebrant is then himself honoured by the deacon, followed by other priests present in choir and the subdeacon (who is liturgically a subdeacon, even if he is actually a Monsignor!). Since the Deacon cannot incense himself, it falls to the thurifer to do this, followed by the remaining ranks of people present: MC, acolytes, and the faithful. In this way is the liturgical hierarchy emphasised: first God, and then the ranks of the clergy and others according to their liturgical function. Into this hierarchy relics or sacred images exposed on the altar for the occasion are added, as are on occasion especially important clerics (if a Bishop is present) or laity (if a Catholic monarch were present, for example). The lower ranks receive fewer swings of the thurible. In doing this we witness sacred ordering of the offices, not of the individuals holding the offices, and it is the offices not exactly of the Christian society, but of the Mass. In Christian society a bishop would outrank the simple priest who is celebrant, but here we have a ranking of function of the liturgy just now taking place: in this Mass the celebrant has a more central role than a bishop in choir. The various functionaries at the altar have importance, and honour, just in so far as they have a role in the service of the Altar. The worthiness or otherwise of the individuals is not now at issue: we are dealing with an objective order of function. The word 'hierarchy' means a 'sacred order'. The sacred order in a Solemn Mass, of which we see a simplified version in a Missa Cantata, is a glimpse of the sacred order of the heavenly liturgy. This is just one small way, in which the thurifer plays an important role, that the Traditional liturgy communicates the grandeur both of God and of the sacred action taking place on the altar. This definitely comes into the category of 'don't try this at home', but it is something which occasionally happens: if the charcoal is too hot, the incense, instead of smouldering, catches fire, with flames. This was first posted on the LMS Chairman blog. By chance this particular occasion was caught on video. You can see that the trouble started when the extra incense was put onto the coals. In this case the thurifer had no difficulty in extinguishing the flames when he got the thurible back into the sacristy. Had he noticed it sooner, he could have taken quicker action. Cardinal Arinze speaks for himself in this YouTube video. Fr Joseph Fessio makes a brief but systematic contribution to the debate here. The Diocese of Lincoln, Nebraska, under the leadership of Bishop Bruskewitz, is the only diocese in the United States not to permit altar girls (which are only permitted with the express permission of the local bishop). There is an interesting short article on the subject on the diocesan website; in case it is taken down we reproduce it here. 'Seedlings', by Fr Christopher Kubat. Canon law states, “Only a baptized male validly receives sacred ordination” (can 1024). Further, the Catechism of the Catholic Church states, “Only a baptized man validly receives sacred ordination. The Lord Jesus chose men to form the college of the twelve apostles, and the apostles did the same when they chose collaborators to succeed them in their ministry … The Church recognizes herself to be bound by this choice made by the Lord himself. For this reason the ordination of women is not possible” (CCC 1577). Are there any other reasons? Aren’t women smart, wise and hard-working enough, sharing the same dignity as men? Certainly. Some have argued that they are more sensitive and nurturing than men, something I wouldn’t disagree with. I would argue as a whole, women have a higher pain tolerance than men. How about natural courage? How many women and men were at the foot of the cross? These arguments, however, have nothing to do with the question at hand. Once, while flying, I sat next to a woman who told me she was an Episcopalian priest. I asked her to define marriage. Thankfully she stated that marriage is for one man and one woman, because this constitutes another powerful argument. Yes, marriage is for one man and one woman (Gen 1:27; 2:24), something that Jesus the Eternal High Priest Himself re-iterated (Mt 19:4-6). In a beautiful vision, an angel said to John the evangelist, “Come, I will show you the Bride (referring to the Church, the mystical body of Christ), the wife of the lamb (referring to Christ Jesus the bridegroom)”(Rev 21:9). St. Paul completes the connection in his letter to the Ephesians. In it, he exhorts wives to be subject to their husbands as the Church is to Christ, and husbands to love their wives as Christ loved the Church (this means that husbands are to mount the cross daily for their wives). Therefore, if the Catholic Church is the bride (feminine), and an ordained priest who stands in the person of Christ shares in this spousal relationship as the bridegroom Jesus Christ (male), it is necessary that candidates to Holy Orders be men. This is why the Church has no authority to admit women to the priesthood. It is about nuptials. What about altar servers? On July 27, 2001 the Congregation for Divine Worship’s Letter on Altar Servers states that “no priest is obligated to have female servers, even in dioceses where this is permitted.” Why is this, since girls are as smart and capable as boys? Because many boys, myself included, first received their calling to the priesthood as altar boys, and when girls are allowed to serve, some boys fall away and lose interest. Please pray for the young men who will be ordained to the diaconate May 28 and to the priesthood May 29. They are the ones who will forgive sins (Jn 20:23), offer the Holy Sacrifice of the Mass (Lk 22:19; 1 Cor 11:24) give us the Most Holy Eucharist, and anoint us on our deathbeds (Jas 5:14-15). The Latin Mass Society will be holding its next training programme, in association with the Society of St Tarcisius, a one-day event, on Tuesday, 23 August, at Holy Cross Priory, 45 Wellington Street, Leicester LE1 6HW. This will be for priests and servers wishing to study the rubrics of the Mass in its Solemn Form and who are already familiar with Low Mass. The day will start at 9.30am and finish around 5.00pm. The fee for attending will be £5.00. For further details, contact the LMS office on 020 7404 7284, email info@lms.org.uk. To register for the training event, please download and complete the application form, returning it to the address specified. This website has previously drawn the attention of its readers to the writings of Mr Arthur Crumley, previously leading Master of Ceremonies of the Latin Mass Society of England and Wales. Mr Crumley was a firm defender of the traditional liturgy, and upholder of high standards of service at the altar. The news has been received that Mr Crumley died earlier this weekend. He had, apparently, been suffering form the effects of a minor stroke last year. Reader, please pray for his soul. In memoria aeterna erit justus. Ab auditione mala non timebit. Question: What differences are there in serving a Low Mass of Requiem? Answer: If you know how to serve Low Mass, it should be easy to adapt to a Requiem. There are a few omissions that you should be aware of in advance. Essentially, prayers and ceremonies that have a particular reference to the living, or to rejoicing, are left out. For example, there is no Alleluia or Gloria Patri, and no blessing of water at the offertory, or of the people at the end. 1. There is no psalm Judica me at the start; the priest moves straight from the versicle and response 'Introibo ad altare Dei. Ad Deum qui laetificat juventutem meam.' to 'Adjutorium nostrum.' The psalm is regarded as having some character of rejoicing, and is also omitted in Passiontide. 2. The priest doesn't cross himself at the Introit, so the server doesn't either. Instead the priest makes a cross over the book. Notice also that the Introit has no Gloria Patri, since this has some element of rejoicing. 3. Check that the priest is saying the Dies Irae, since this is optional in the standard daily low mass for the dead. If so, then you don't need to rise to move the book until towards the end of it. If not, then rise at the start of the Tract 'Absolve' as usual. 4. The water isn't blessed at the offertory. 6. The reply to 'Requiescant in pace' at the end is 'Amen'. This takes the place of 'Ite missa est' or 'Benedicamus Domino' in a Requiem. 7. Don't kneel for the blessing, since there isn't one. Move straight after the Requiescant to your place for the Last Gospel. The enrolment ceremony for becoming a member of the Society of St Tarcisius is now available for download here. This should be a useful resource for any priest performing the enrolment ceremony and, of course, for those actually being enrolled! The text is in Latin and English side by side. The Latin Mass Society of England and Wales is currently seeking a new editor for Mass of Ages magazine, as the current editor, John Medlin, will be retiring from this position later this year. 'Mass of Ages' is the quarterly magazine of the Latin Mass Society and is, with its website, one of the two principal ‘shop windows’ for the Society’s work, as well as a vital means of communication with members. It is therefore a high priority for the Society. The magazine’s current look was developed several years ago and the time has come for a thorough revamp, both in appearance and content, to bring it into line with the Society’s developing and expanding activities and priorities. We are also proposing a number of technical changes in the way in which the magazine is produced. The new editor will be intimately involved in these changes at what is an exciting time for the Society. As well as journalistic and relevant technical experience, the new editor will have a deep and sympathetic knowledge of the Traditional Catholic world. If you would like more information, including salary details and job description, please contact LMS General Manager Mike Lord by email on michael@lms.org.uk or phone him on 020 7404 7284 for a confidential talk. The Latin Mass Society's annual Day of Recollection is taking place as customary in St Edmund's College Ware, Herts. 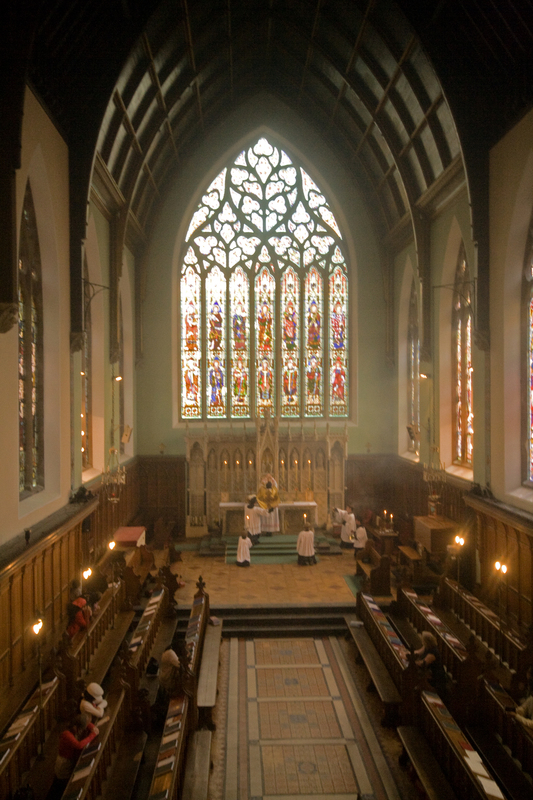 The College boasts one of the finest chapels of E.W. Pugin in the country, and the only one never to have been reordered. The LMS always has distinguished priests preaching these days of recollection; this year they will have Fr Michael Cullinane, a long-term friend of the LMS and a scripture scholar. He is the head of the theology department at Maryvale Institute in Birmingham. 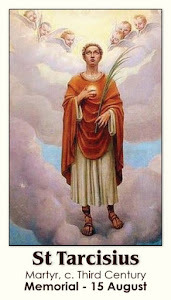 The Day of Recollection will be held at St Edmund’s College, Ware on Saturday, 9th July 2011 at 11.00 am. Father Cullinane will celebrate High Mass in the Traditional Rite at 12 noon. The day will conclude with Solemn Vespers and Benediction at 3.30 p.m. The cost of the Retreat will be £5.00. Participants should bring their own lunch, although tea and coffee will be provided. For those wishing to attend, more information is available from Eric Caudle (email:egthebm@btinternet.com) or Mike Mason on 01983 567996 or (M) 07810 778160. “The Latin Mass Society warmly welcomes the news that Bishop Mark Davies is negotiating with the Institute of Christ the King Sovereign Priest (ICKSP) to enable the ICKSP to assume responsibility for the much-loved Church of SS Peter and Paul on the Wirral and for it to become a centre for Eucharistic devotion. 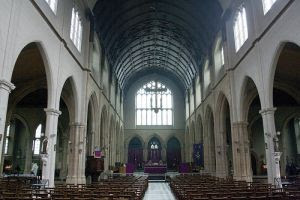 The local membership of the LMS has been campaigning for the church to be reopened and for the Traditional Latin Mass to be regularly celebrated there. This initiative is sure to promote Church renewal in Shrewsbury diocese to the great benefit of all Catholics regardless of which Form of the Rite they are attached to. The LMS will offer every help and assistance to Bp Davies and the Institute to bring their plans to fruition and invites all those attached to the Extraordinary Form to pray for Bishop Davies’ intentions. Doctor Joseph Shaw, LMS Chairman, said: ‘This initiative is a clear expression of the harmonious reintegration of the Extraordinary Form into the life of the Church which Pope Benedict XVI so patently desires. It is a wonderful idea to have a centre for Eucharistic devotion in Shrewsbury diocese and the ICKSP are second to none in their devotion to Our Blessed Lord in the Sacrament of the Altar’. The Rt. Rev Mark Davies, the Roman Catholic Bishop of Shrewsbury , has entered into exploratory negotiations with the Institute of Christ the King Sovereign Priest about the possibility of the religious order establishing a community of priests at the Church of Ss Peter and Paul, New Brighton . The intention is to reopen the main body of the church, which was closed for worship in August 2008, by conferring on the Institute the specific mission of fostering Eucharistic adoration. It is hoped that the Institute will work with local Catholics for the restoration and reopening of the building. 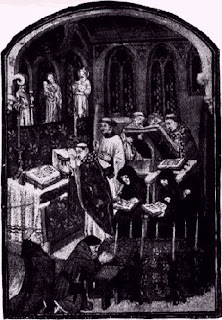 Priests of the Institute of Christ the King celebrate Mass in the Extraordinary Form of the Roman Rite (sometimes known as the Tridentine rite, the Traditional Latin Mass or Old Latin Mass) according to the liturgical books promulgated in 1962 by Blessed Pope John XXIII. Bishop Davies will also be considering pastoral provision for the ordinary form of the Mass in English. After Easter, Monsignor Gilles Wach, the French founder and superior general of the Institute, will visit the church for the first time and will hold direct talks with the bishop. If negotiations are fruitful Ss Peter and Paul will be the first Catholic church in Britain to be run by the Institute. Since Bishop Davies was first approached by the Institute last year, he has been consulting with the Holy See, his brother northern Catholic bishops, the Patrimony Committee of the Catholic Bishops’ Conference of England and Wales , and English Heritage about the future of the Church of Ss Peter and Paul.